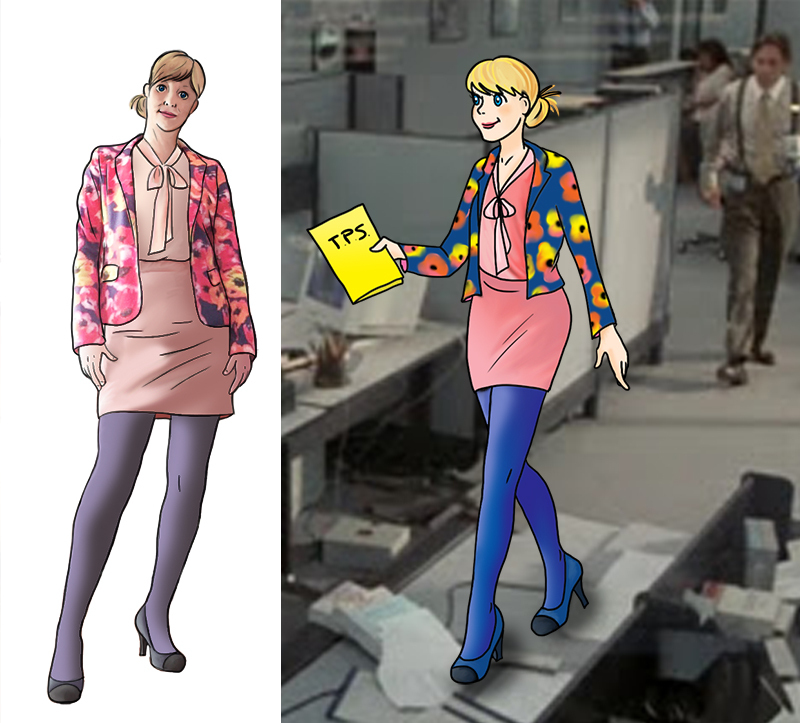 When handing in TPS reports, it helps to wear a kicky mini with a matching sheer top involving a neck bow. Top it off with a jaunty floral blazer and matching tights and heels. Your supervisor will be blown away by how girly and yet professional you can be when doing unpaid overtime.